Extreme rains falling in Sud Department of Haiti, from the 20th to the 23rd of April, 2017, have resulted in flash floods. Many areas that are still recovering from the devastation left by Hurricane Matthew in October 2016 have been affected as well as some areas in Jamaica and Cuba. 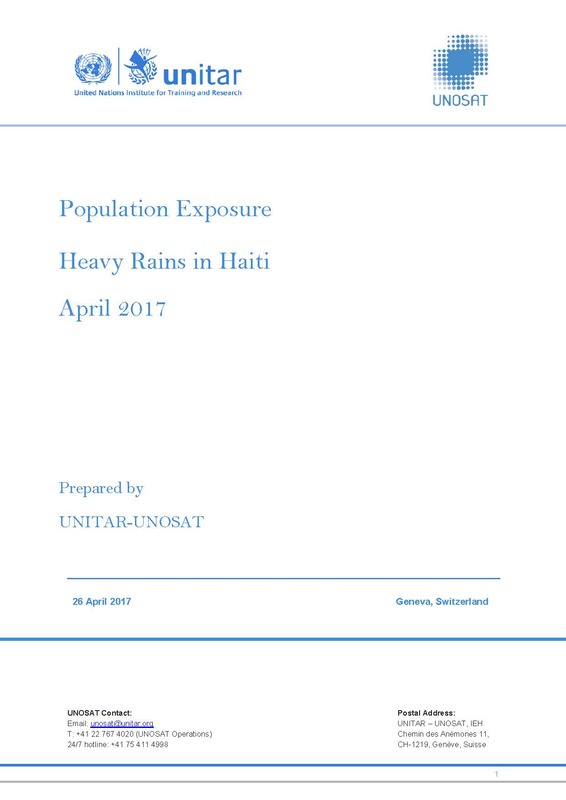 This report provides a population per precipitation accumulation zone analysis over Haiti. The analysis was conducted according to the estimated precipitation accumulation data derived from the Global Precipitation Measurement (GPM) dataset of the last five days (20th to the 24th of April, 2017) at a spatial resolution of approximately 10km. The population data was derived from WorldPop.